Cigarette Socket12V/ 24V. Rocker Switch5. Cigarette Socket:12V/ 24V. 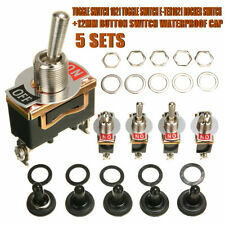 Rocker Switch: 5. Switch TypeRocker Switch. 1 x Rocker Switch Panel. LED ColorBlue. presented with vehicle and marine labels, easy for DIY. Compatible with most steering wheel. 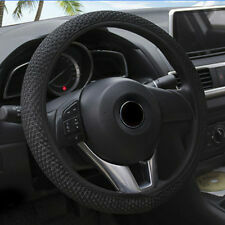 Type: Automotive Steering Wheel Cover. 1 x Steering Wheel Cover. Improves the appearance of old or dirty steering wheels. By buying from us we consider you have understood and accepted all of our policies. Power: 15A 250VAC. Insulation resistance: 100 Mω(min). Sizes: approx. 29 x 16 x 56mm. Basal material: Poly Propylene Materials. Vibration: 10 to 55Hz, 1.5 mm double amplitude. For Android users, this upgrade also adds Android Auto™ functionality. Need instructions on how to install the Apple Carplay and Android Play on the Mazda 3 ?. Need instructions on how to install the Apple Carplay and Android Play on the MX-5?. DIY your Steering Wheel. 1pc x Thread. Perfect fit for the steering wheel. 1pc Steering Wheel Cover. PU Leather added with superfine fiber. Material: PU Leather added with superfine fiber. Color: Black. Volt: DC 12V,16A. 10 x LED Round Switch. Easy setup, All you need is a 3/4"(19mm) hole and the switch will sit in nicely; no more square cut outs. Type: 2 Pins (3 Pins with LED). Light color: Blue. Size:About 2.4 cm x 2.4 cm x 3 cm (LxWxH). Toggle switch. 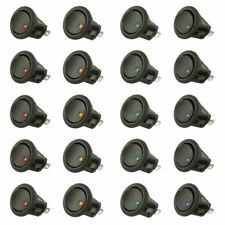 12V Car Round Rocker Dot Boat Blue LED Light Toggle ON/OFF Switch. 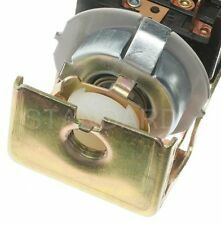 pushbutton switch. 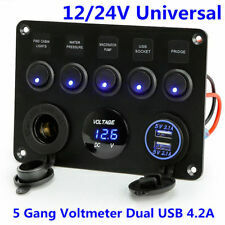 Volt: DC 12V,16A. Easy setup, All you need is a 3/4"(19mm) hole and the switch will sit in nicely; no more square cut outs. Vldeo Format MPEG-1/2/4、H264、H263、VC1、RV、RMVB、DivX、VP8、AVS Stream…Al Foramt WIFI Built-in WIFI module. Operate System Android 7.1 File Delet Supported. Working Tempertarure -20°C----- 70°C Malnly Functlon Support Android App Install,Delet. Gold 12V 178dB Super-Loud Air Horn Dual Trumpet Compressor Car Truck Train Boat. 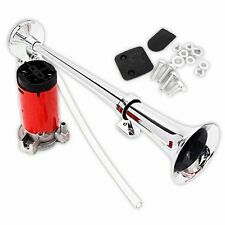 Red 12V 178DB Super Loud Car Truck Train Boat Air Horn Dual Trumpet Compressor. Purple 12V 178dB Super Loud Air Horn Dual Trumpet Compressor For Car Truck Train. Suitable for all 12 / 24v car battery installation, such as cars, motorcycles, buses, boats, RVs, boats, trailers, etc. Ultra-high-end luxury switch with LED indicator light. LED Light Color: Blue. Number of light: 2 LED Light. Put the gear shifter directly into the gearshift lever (note that the aluminum alloy cover is first placed on the gearshift lever). 3, take the rubber sleeve suitable for the size of the shift lever. Turn the rubber sleeve into the gear lever. Mainly used to assemble the switch, and supporting the use of switch. Color: Black. Waterproof, safe and easy to assemble. 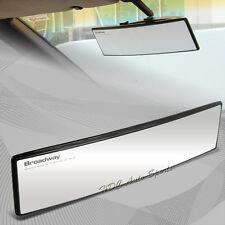 For Audi A4, B6, B7 2000-2004. Detail Image. -Reflecting light from the panel can illuminated through the white font and sign. Product Description: 1. SAFE TO USE: Equipped with advanced thermal protections and power overload protections to ensure safe usage of this product. 2. CUSTOMIZATION OPTIONS: Comes with 120 sticker labels on a sheet so you can customize your rocker switches as you please. 3. 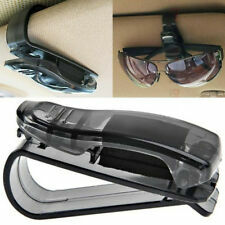 HIGH QUALITY: Made of long-lasting PBC plastic material, flame-retardant, and environmentally friendly. 4. EASY TO USE: No frustrating peeling, wiring or tampering. Comes with both practical and fun designs! 5. 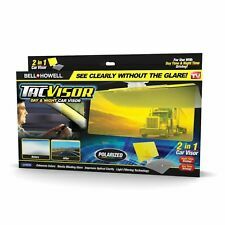 DAY AND NIGHT USE: Night glow decals allow you to read the labels clearly in the evening and nighttime for safe operations. Package Includes: 1X Sheet of 132 Sticker Labels. Para serie 1 E81 3 puertas 02/2006-12/2011. Para serie 1 E82 Coupe 11/2006-10/2013. Para Serie 3 E91 gira 02/2004-08/2008. Para 3 Series E91 LCI Touring 07/2007-05/2012. Para Serie 3 E90 Sedan 02/2004-09/2008. Engine Start Stop Push Switch Button Cover & Ring Trim For VW Golf 7 MK7 GTI R Jetta CC Arteon. 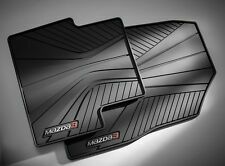 Suitable For: For VW Golf 7 MK7 GTI R Jetta CC Arteon. 1 x Ring Trim. 1 x Switch Button Cover. You should receive item within 3-5 weeks. The OverDrive RV Captain Seat Cover by Classic Accessories quickly fits to keep captain-style seats clean and comfy. When you buy a Classic Accessories RV cover you are not just getting a cover; you’re also purchasing peace of mind. Input: 12V 20A. Switch Actuation Style: rocker. Light color: red light. If you are satisfied with our service, pls. If you do not receive our reply within 48 hours, pls. Our warehouse is located in Yiwu, the largest small commodities market in China. Shade and fresh air for children or pets. Absorbs 80% of the sun UV rays. 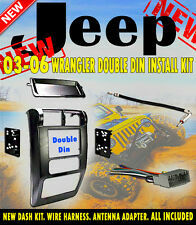 Custom made to suit most vehicles. Ideal for rear seat passengers. Size: M 38cm. Hand Sewing Steering Wheel Cover. 1x Steering Wheel Cover. Material: microfiber leather. 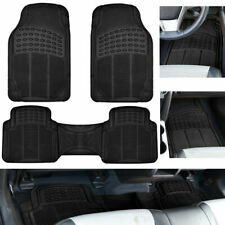 Soft, anti-slip, comfortable feeling. 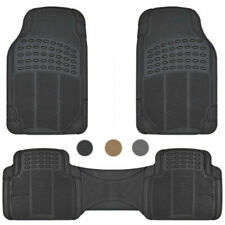 SPARCO 03779AN. Manufacturer Part Number: SPARCO. Designed to provide improved grip. 178DB Dual Trumpet Air Horn Horns Super-loud For Truck RV Car Train Boat 12V Specification « Color: black « Material: ABS and Metal « Small horn length: 6.2" « Small horn diameter: 2.75" « Big horn length: 8.2" « Big horn diameter: 2. Waterproof casing will protect the switch from rain or coffee spill. LED Light turns on when switch is on position. LED Color: Blue. Due to light and screen difference, the item's color may be slightly different from the pictures. ROM: 32GB - RAM: 2GB. - WiFi: Built-in WiFi Modem, support 802.11b/g/n. 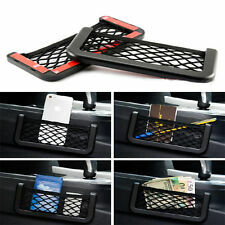 - Extended USB: Support USB Disk up to 32GB. System - Operation System: Android 8.1. - CPU:Quad Core. - GPU:Quad Core. - A2DP (Bluetooth Stereo Music): Yes, can play stereo music through Bluetooth. Hope you will wait for item Patiently! the picture may not reflect the actual color of the item. Due to the difference between different monitors. The color of the website's photo and the actual item could be slightly different.